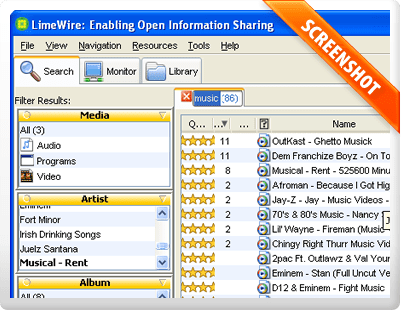 [UPDATED] LimeWire is Back in the Game! “Shortly after the software was forced to shut down, a horde of piratical monkeys climbed aboard the abandoned ship, mended its sails, polished its cannons, and released it free to the community.” All dependencies on LimeWire LLC’s servers have been removed, all remote settings have been disabled, the Ask toolbar has been unbundled, and all features of LimeWire PRO have been activated for free. Thus, the creators claim that LimeWire Pirate Edition (LPE) will work better than the last stable version of the old client. Even thought it looks more like the design they used back in 2007!